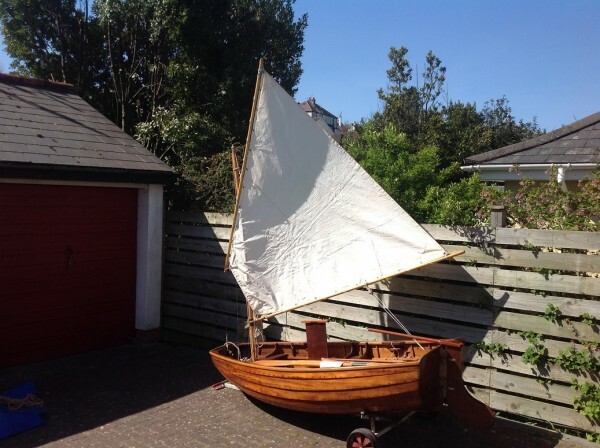 Built by Coves yard in Salcombe, most likely as a tender to a Salcombe Yawl. These little boats were designed to be safe and sturdy little boats, capable of carrying several people and light enough to haul up the slipway at the end of the day. 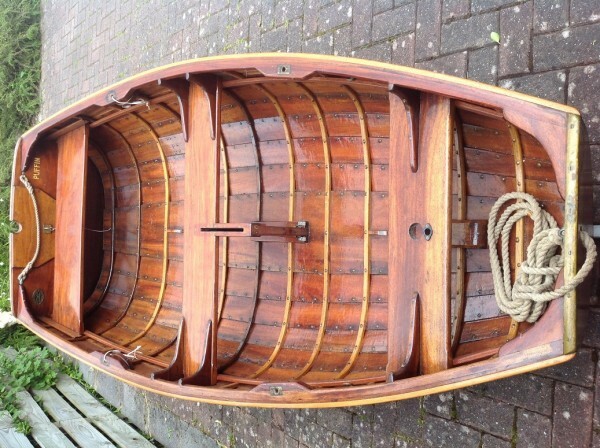 This is an immaculate example which had a professional refit and since then has been dry stored. 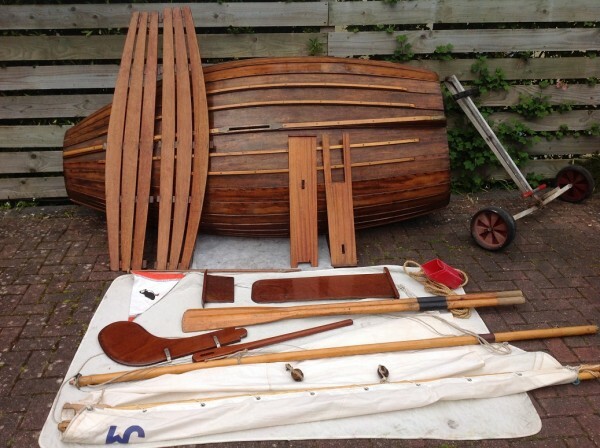 The varnish is in perfect condition and she comes complete with rig, oars and launching trolley. Mahogany planking on steamed oak timbers all copper rove fastened. 8 out of the 12 timbers have been replaced. 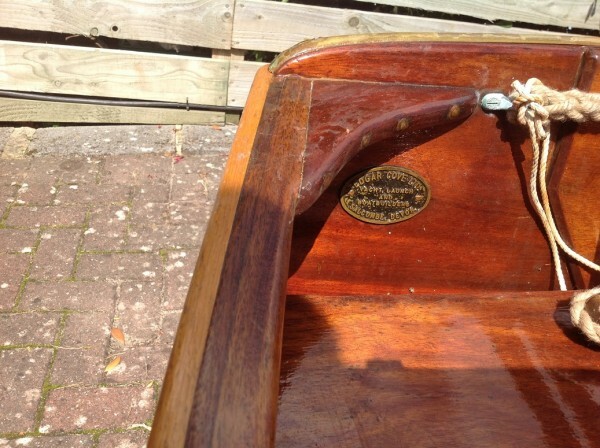 Mahogany gunnels with oak rubbing strake replaced in recent years. 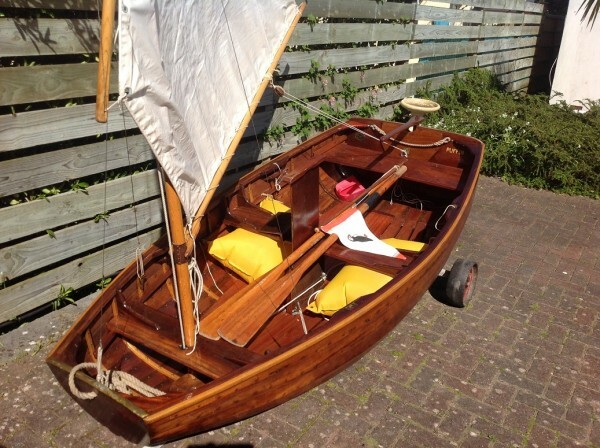 Usual coves construction using a single extra wide strake on the centreline rather than a separate garboard each side fastened to the back bone. This made them easy to build and also eliminates the problems of leaking around the garboard planks. 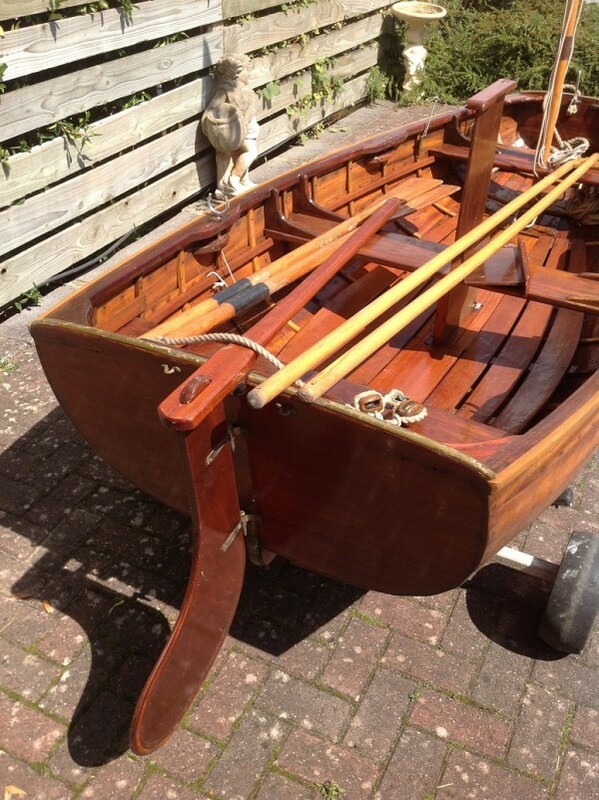 Rebuilt centreboard case by local shipwright Sid Fisher. Varnished mahogany thwarts with grown knees. Two rowing positions allows the rower to move fore and aft depending on the loads being carried. 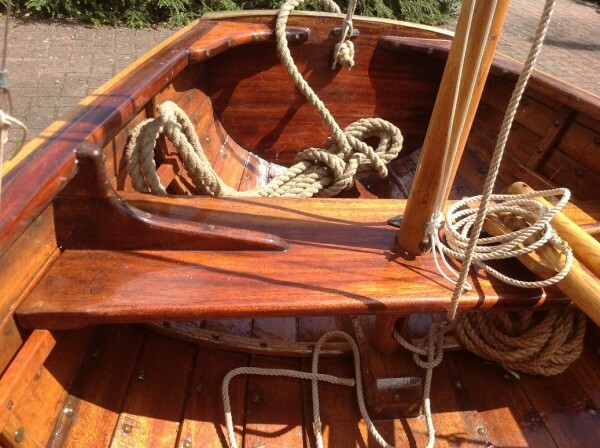 Lug sail on varnished pine mast and spars. 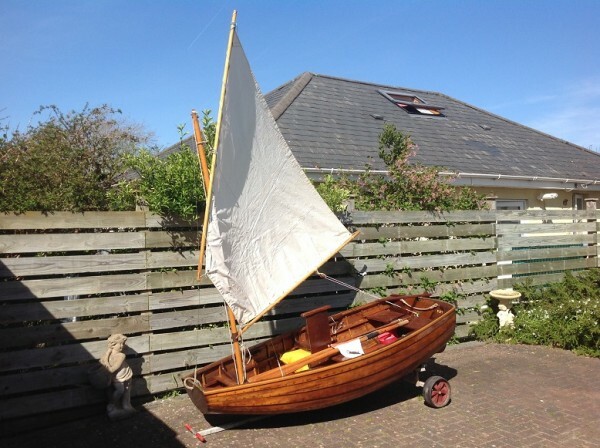 White terylene sail, wooden blocks and 3 strand running rigging.